Two spikes delimit this beach of fine sand intermingled with boulders and deep blue waters. 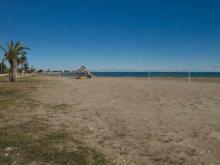 It is an urban beach also having a waterfront and many other infrastructures and services. 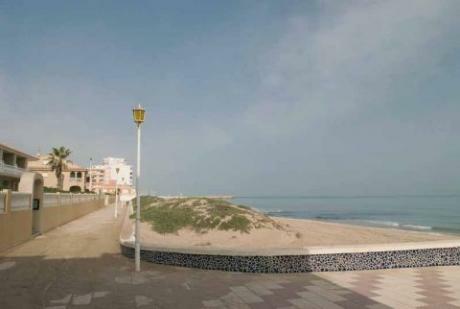 It is an accessible beach with all necessary services to make possible that people with reduced mobility can access the beach and the sea. Open beach with some gravel and delimited by spikes both to the north and to the south. Its deep blue waters show slight unevenness. In addition to the several services offered, it also has a wooden belvedere getting into the sea. Long beach 70% of gravel and 30% of sand on its land surface. However, its sea bottom is of fine sand and little sloped, without unevenness and with very clean waters. Furthermore, it is magnificently located, with an environment marked by the Nature Reserve El Prat de Cabanes-Torreblanca, an important wetland with an extension of more than seven kilometres. 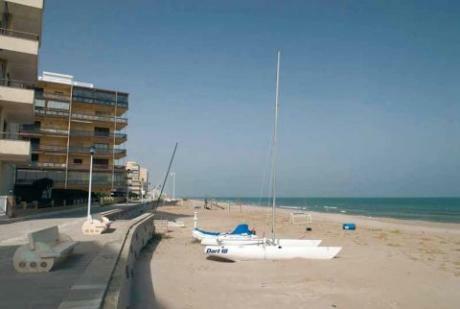 This beach situated in the built-up area next to the fishing port has both pedestrian access and vehicular. 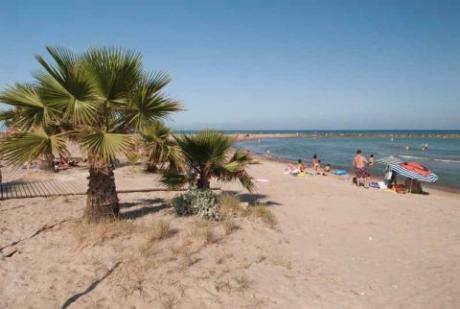 To be found beside this beach, and with similar characteristics, is the beach of Tío Roig. To access it, signs on “Sol, mar y naranjos”, small holiday camp at the beach, must be followed. It is a fine sand beach, not very crowded and with slight swell. 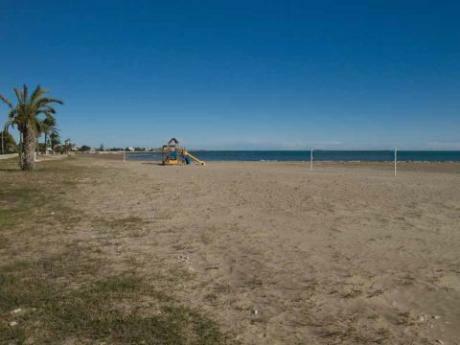 It is a beach of fine natural sand dominated by the majestic meadows of Posidonia oceanica (sea-grass) that reign over the seabed and equipped with all the facilities that the public demand. From June 15th to September 15th there is a Red Cross Life Guard Post. Amphibious Chair service for disabled. July & August from tuesday to saturday from 10:00 a.m. - 02:00 p.m and 15-30 june and 1-15 September tuesdays-wednesdays and thursday from 10 a.m. -02.00 p.m. 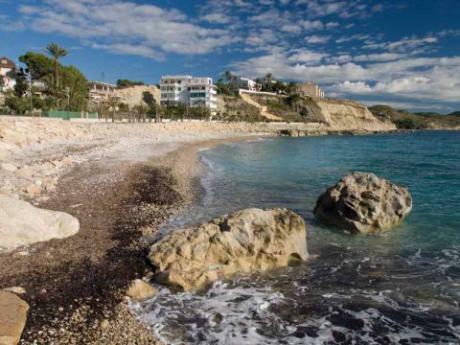 This beach boasts various environmental awards and eco-labels such as the Blue Flag and an "Ecoplayas" prize and employs an integral management system in compliance with the ISO 9001 & 14001 standards. Located close to the beach is the "Cova de la Fustera", a 10 m. high cave from which one can enjoy a magnificent view of the Benissa coastline and the Peñón de Ifach. Just few metres away is the "Casa dels Cents Vents" (House of the hundred winds) centre that houses the Benissa Playa Tourist Information office, the resident advise office, a police post that is in operation from June 15th to September 15th and the "Aula de la Mar", room that is venue of environmental awareness activities related to the sea. It is the most popular, frequented and bustling creek in the area. With fine sand and clean waters offers all kind of services. Very nearly is the Cova de la Fustera, more than 10 metres high cave from which a magnificent perspective of the littoral of Benissa and the Peñón de Ifach can be seen. This beach with semi-urban ambience, is the sea front of the small village Mareny de Barraquetes. Beach of fine sand whose main quality is that of enjoying a peaceful bathe without crowds.